The Best Machine-Made Socks on the Planet! 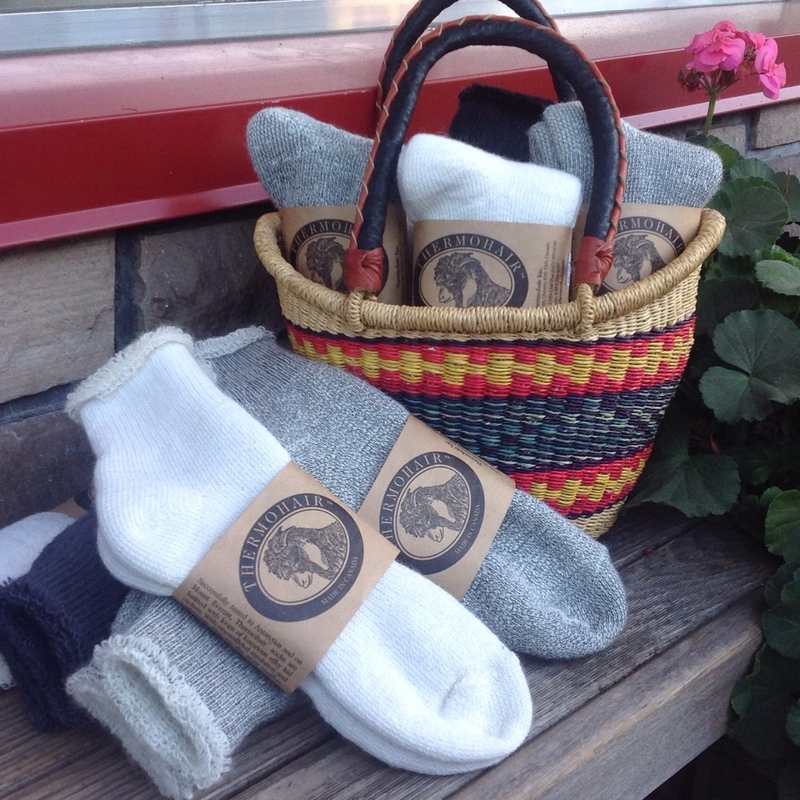 Our favourite foot warmers (next to the hand-knit variety, of course) are these amazing Canadian-made kid mohair socks. Wearing these unique socks is like walking on a silky soft cloud of cushiony warmth! Mohair, sheared from the Angora goat, is renowned for its warmth, strength, lustre and easy care, making it an ideal fibre for the feet. It is not a wool and is fully machine washable. Thermohair socks are made from the softest kid mohair, knit in a looped sequence for cushioning and blended with 25% nylon for durability. Treat yourself to a pair and you'll have happy feet all winter long! 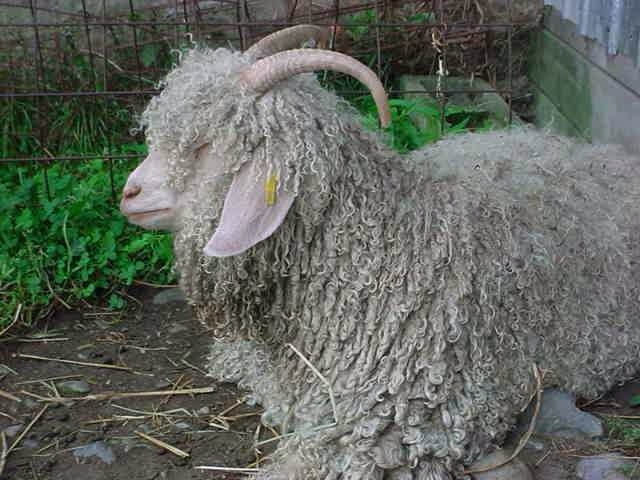 Mohair is the fleece sneered twice a year from the Angora goat. The goats are very efficient ruminants which make use of rough pastures and brush by eating grass and leaves, turning it into hair protein. Mohair is therefore a natural fibre that is an environmentally friendly renewable resource.